All seems to be getting way out of hand to me. Sure, my views are biased. I read The Australian, which is part of Murdoch's hate media, and of course anything associated with him is inherently eeevil. But while what NOTW did was truly disgraceful, it's comparatively minor in the grand scheme of things. 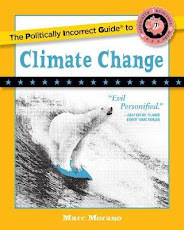 There are far worse scandals that sections of the meeja have been complicit in -- for example the concerted attempts to demonize global warming skeptics. That's not nearly as ghoulish, but it's hugely more significant, surely. And all this disgust from the public seems kind of hypocritical. They happily lapped up all the news that these dodgy practices uncovered for years, after all. I can't help thinking it's all a bit like what happened to Princess Diana. The paparazzi hounded her to her death, and half the world went into collective shock and mourning. But those photographers were just "feeding the monster" too. Diana may well be alive today had the very people who were most in love with her not had such a voracious appetite for photos of her. Not unlike the aftermath of that tragedy, the phone hacking scandal will result in a squillion pledges to clean up the tabloids. But they'll all be back to their old ways a decade or so hence. Just you wait and see.